Thank you to all our customers who are still discovering we are gone. We stopped doing repairs in July 2017 and shut the doors in August 2017. Mike decided which lucky shop he will work for. 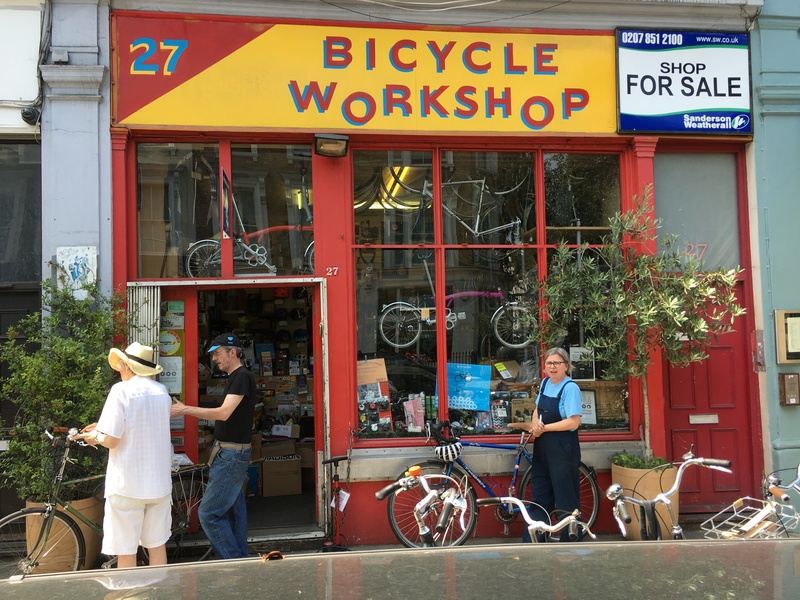 He is working for Hub Custom Bikes (formerly HalfPipe) in Golborne Road. I (Ninon) will be taking semi-retirement working in various places part-time and also repairing hub gears and dynamo light systems in my own workshop. While I set that up I will also be sorting out things from the shop. I still have a bit of stock from the shop that is available, I am sorting it out so orders may take a little longer to send out. I can be contacted on 07410699297. This website and email will be up for a little bit longer. Thank you to all our customers for the very many years of support.